Product #60707 | SKU OR-270 | 0.0 (no ratings yet) Thanks for your rating! Designed to protect and carry the Sound Devices MixPre-3, 3M, 6 or 6M recorder together with the MX-L battery mount. The Orca OR-270 Sound Bag for Sound Devices MixPre-3M / 6M is designed to protect and carry the Sound Devices MixPre-3, 3M, 6 or 6M recorder together with the MX-L battery mount. The lightweight case provides access from all sides and includes back and font pockets for holding small accessories, batteries, and wireless receivers. 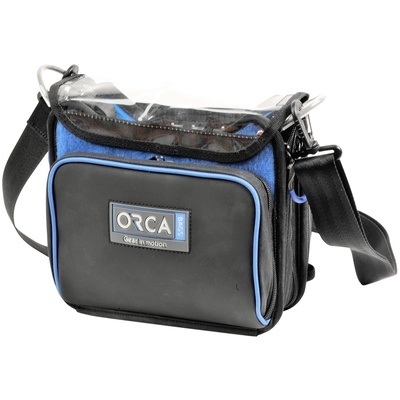 The Orca OR-270 includes a detachable shoulder strap.